Top 3: Manchester Science Festival 2017 ft. robots & a giant spider web. Manchester Science Festival – the event that brought you a disco in an ball pool for adults last year – returns with more curiosities for all ages this month. The programme is large and brilliant, and we’ve picked out just three highlights to get you in the mood. 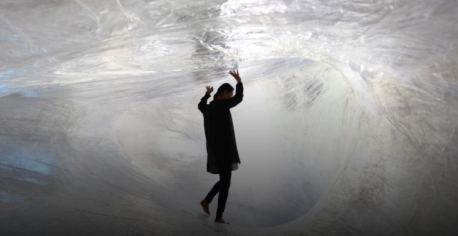 Award-winning artists Numen/For Use have transformed the 1830 Warehouse into a giant spider’s web made from sticky tape. Climb through a translucent “stretched biomorphic skin” strung above the ground and crawl along winding networks of cocooning passageways to get your spidey-sense a tingling. Though the idea of automatons might be a distinctly 21st century notion, it turns out the world has been harnassing the power of robots for the last 500 years. This exhibition showcases a unique collection of more than 100 robots from as far back as the 1600s. This evening event, aimed at adults, includes a string quartet performance and a debate about whether you really can hear maths in music.